“Is this an Ergonomic issue? Could my 9 year old have a Repetitive Strain Injury? What should I do? A recent report from the Kaiser Family Foundation confirmed what most parents already know; kids of today are voracious consumers of new media and new technology. 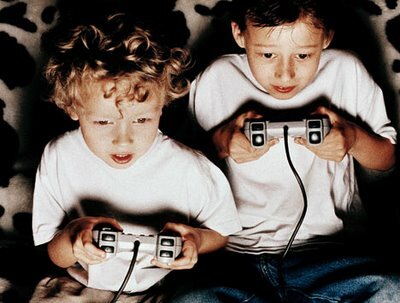 The average eleven year old owns a television, laptop computer, cell phone, MP3 player, gaming system (Sony PS4, Wii) and a hand-held game or learning device (DSi, LeapFrog). Children are spending HOURS everyday texting, Tweeting, gaming, downloading music and watching programming. Texting alone accounts for almost 2 hours per day! The average number of texts per day is more than 100! That’s a lot of keystrokes. Gaming, texting and computing are all activities that require typing. Small, precise movements with the wrists, hands, and fingers, particularly the thumb. The body parts involve small muscle groups that fatigue easily and are highly susceptible to Repetitive Strain Injury (RSI). The American Society of Hand Therapists has issued several consumer alerts, warning users of small electronic gadgets that heavy thumb use could lead to painful swelling of the sheath around the tendons in the thumb. “Blackberry Thumb” the term popularized a few years ago to describe the pain, discomfort and damage caused by excessive texting/emailing on the popular Blackberry PDAs, is being diagnosed in younger and younger patients. MOM AND DAD, here’s the reality; your child needs your protection and guidance. Educate yourself on the Ergonomic realities surrounding the use of computers and hand-held devices. Cornell University’s Human Factors & Ergonomics Department offers an informational web site (http://ergo.human.cornell.edu) that is a great starting point. Their content on children and computer use will be very eye-opening. Share this learning with your child; obviously this will be driven by their age and maturity level. Make them a partner in this process if / when you can. Take control of your child’s use of technology. Monitor and manage your child’s use of all electronic / computing devices. Don’t leave it up to the kid…hey THEY’RE KIDS. They need you to make the hard choices. Expect to be unpopular. Expect pushback. APPLY THE 30 MINUTE RULE. Limit usage of any device to 30 minutes. This will dramatically reduce risk of potential injury. What tools and devices do you use for work and life? Do you practice sound ERGONOMICS? If your answer is NO or MAYBE….you have work to do. Provide a great example for your child and TALK ABOUT IT. Your kids will model, emulate your behavior. If you pay attention to these issues, they will too. Other than your home environment, no other place has more impact and influence on your child’s Ergonomic health. Get involved in your school’s Parent / teacher organizations. Introduce the topic of Ergonomics to the agenda; push for an open discussion about how, when, where and why your kids are using electronic devices. Do you know how many books your kid is lugging around everyday? Find out. Talk to your child’s teacher. On average, your child should carry NO MORE than 5% of their body weight. Following are guideline provided by the American Chiropractic Association (ACA) specific to a person’s weight and the ideal MAXIMUM backpack weight. Bottom line – your child’s Ergonomic Health is up to you. Your example, guidance and persistence will ensure their safety and well-being.